Chauvet Funfetti Refill Multicolor - 2 Shots in 1 Box! The CHAUVETÂ® DJ Funfetti Shotâ¢ Refill - Color is a multi-coloured paper confetti refill for the Funfetti Shotâ¢ confetti launcher. It contains two full confetti launches and is easy to transport and store in its packaging. Five complimentary colours in every box. The Funfetti Shotâ¢ Refill - Colour is non-toxic, non-flammable and ready to use right out of the box. 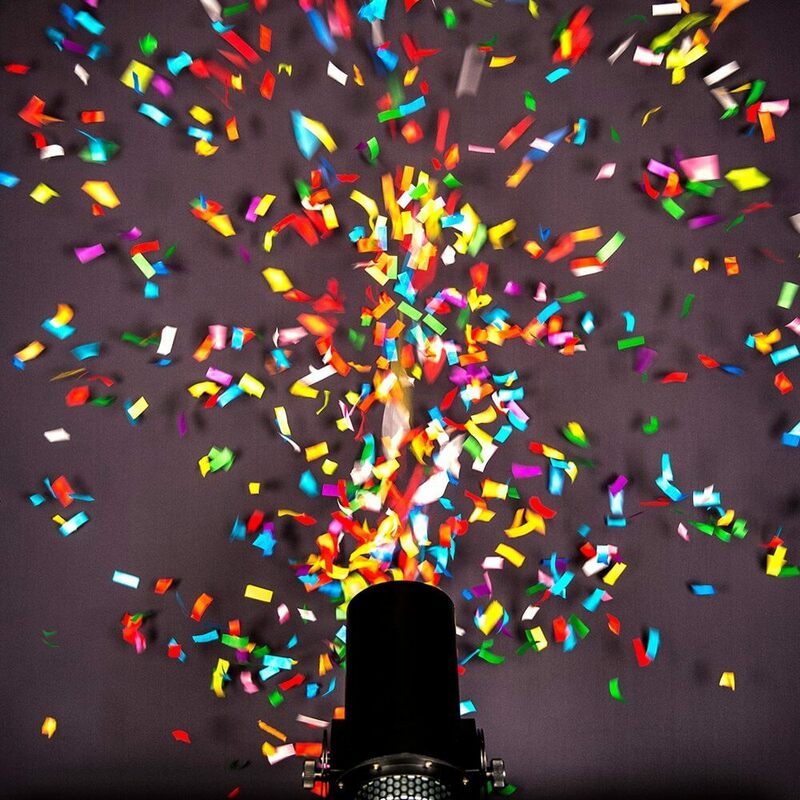 The CHAUVET® DJ Funfetti Shot™ Refill - Color is a multi-coloured paper confetti refill for the Funfetti Shot™ confetti launcher. It contains two full confetti launches and is easy to transport and store in its packaging. Five complimentary colours in every box. 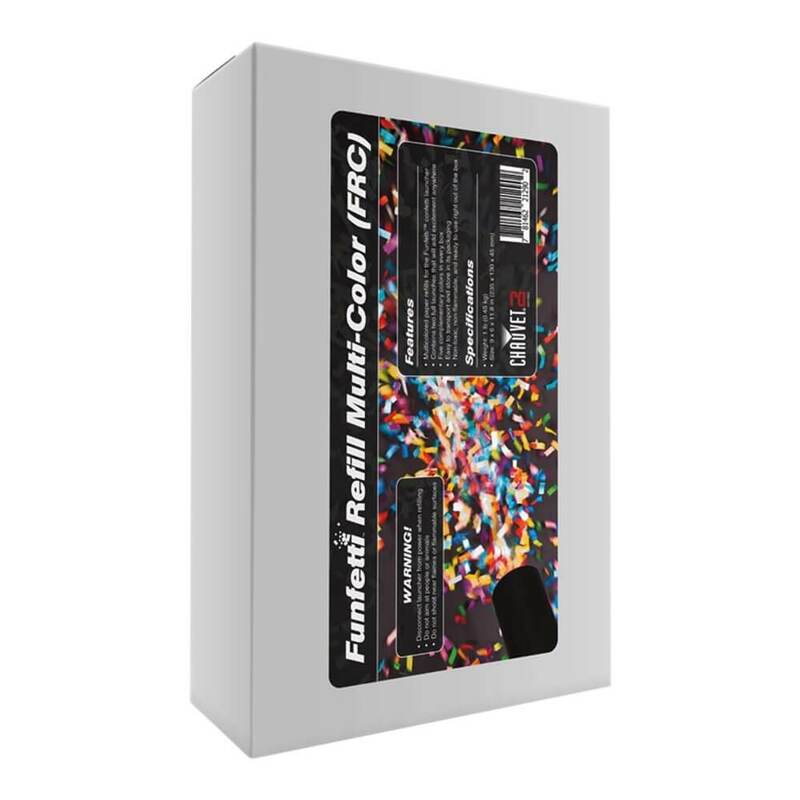 The Funfetti Shot™ Refill - Colour is non-toxic, non-flammable and ready to use right out of the box.